Home Big Opinions A League of Nations? We already know that World Rugby are looking at expanding the Rugby World Cup from the current 20-team format to a 24-team format. Now we are told that other changes are being considered by the powers that rule the rugby world. 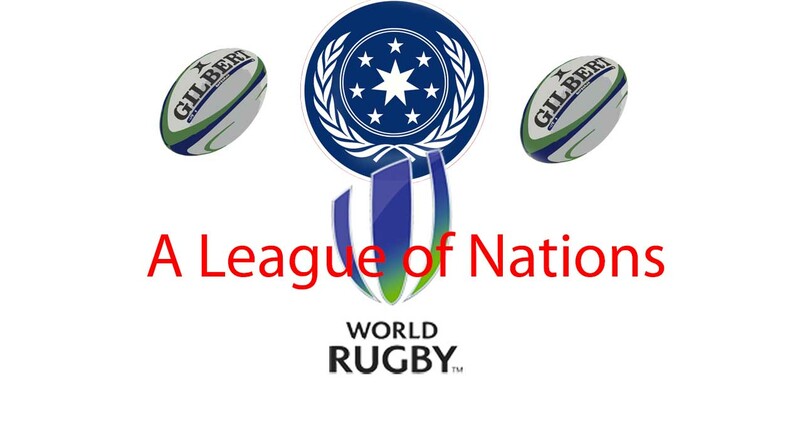 The French newspaper Midi Olympique reports that World Rugby plan to introduce a new “League of Nations” format involving the top 12 teams in the world in place of the current November “Silly Season” tours. The proposed new competition is the brainchild of World Rugby vice-president Agustin Pichot, and will reportedly kick-off in 2020. Pichot initially proposed the idea in July at San Francisco’s Rugby Sevens World Cup, where he presented the idea in a meeting with New Zealand Rugby CEO Steve Tew, French Rugby President Bernard Laporte and South Africa Rugby Union CEO Jurie Roux. The competition will include the 12 teams that sit at the top of the World Rugby ranking system, and will be split into four pools of three teams each, with pool games, and then a quarterfinal round, a semifinal round, and a final. Hosting rights for the competition will alternate between the Northern and Southern Hemispheres on an annual basis. Whether the competition will be run during World Cup years remains an unanswered question. The aim of the proposed competition is to increase the importance of Test match rugby. Speaking to the media, World Rugby CEO Brett Gosper said over half of all internationals are friendlies. “There’s a number of models out there but I think ultimately (a North vs South competition) would help add more meaning to a Six Nations or a Championship so it could only be good news for everyone,” he said. “At the moment 56 per cent of the games in international rugby in the world are friendlies and that’s what we’re looking at and maybe swinging it back towards more meaningful, competitive games and that may be even with interaction north and south. This could be World Rugby’s game-changer with a determined focus on keep the international game on the top of all other rugby competitions. Rugby Union is one of the few professional sports in which the international game remains the ultimate form of the game. 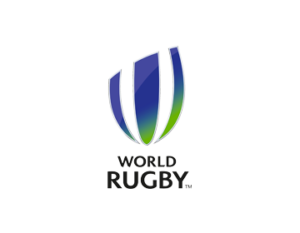 It is the primary revenue generator for both World Rugby and for the governing bodies in each of the participating countries. In addition, Word Rugby and the component national bodies have been searching for a way to retain control of their game at a time where the owners of many of the professional clubs have started to kick against the international game, triggering an ongoing “club versus country” brawl as wealthy club owners and benefactors have insisted that contracted players be available for club fixtures and not for their national teams. The European game in particular, but with the English Premiership just a short head behind, has become a battleground between owners and clubs and the national unions. The introduction of a new, annual, international rugby competition of a similar format to some of football’s annual competitions may just serve as the best ammunition the traditional game and its custodians can fire off to maintain the status of Test rugby above all other forms of the game. There can be no doubt that such a competition will also spark the interest of the players themselves. It is surely still the aim of every single player to take to the field in the colours of his or her country, and an annual competition such as the one proposed by Agustin Pichot provides players with a level of personal incentive greater, perhaps, than purely monetary reward. Of course, there will be those that suggest that an annual competition between a Top 12 will denigrate from the Rugby World Cup as the aspirational competition for all players. The danger of over-exposure might just cheapen the bigger competition when it rolls around every four years. I do believe that the proposed competition may well have the opposite effect. In the first place it should incentivise national teams to climb the ranking structure to achieve Top 12 status and inclusion in a potentially very lucrative competition. The annual Top 12 competition will thus have a trickle-down effect on improving standards lower in the pecking order, and giving the Tier Two teams something to strive for. When the World Cup comes around the potentially expanded format of 24 teams will allow those lower down the ladder the opportunity to measure their progress and challenge for the ultimate of honours. The second effect will be to regenerate interest in the game. With the plethora of meaningless games offered up by the likes of the overly bloated Super Rugby competition and the ultra-long seasons in the United Kingdom and Europe, the game needs something that can defeat the looming shadow of spectator fatigue. Test rugby has always generated more interest than club of franchise level rugby, and should continue to do so into the future. The traditional mid-year and end-of-year tours have become somewhat meaningless. In the mid-year, the teams from the north arrive in the southern countries at the tail-end of a long and fatiguing season. Teams and players are tired and looking forward to the final whistle of the last game and some time out. Frequently teams arrive that are bereft of their top players, left out for rest and recuperative reasons. The same is true when the southern teams head north in November. There are, however, some issues that will need to be sorted out. The Elephant wandering around the room is who or what will finance this competition? The current system of end-of-year tours provides a critical financial windfall for the host nations, as Tests against the likes of the All Blacks, the Springboks, and the Wallabies help fill the coffers of countries like England and Ireland and they, in turn, may be resistant to the idea of waving good-bye to that income stream. And then there is the issue of teams like the Pacific Islands and other tier two nations. Whilst I would like to believe that a new Top 12 competition would serve as an incentive to Tier Two teams to strive for and achieve inclusion in this event, it might well be a bridge too far for the smaller countries. They may well feel that they have been left out, banished from the table, by the bigger bullies? Perhaps World Rugby needs to look a step further, at a second tier competition in the same format? A way to avoid being accused of rewarding the richer nations at the expense of the poorer ones? For Test Match Rugby to survive and thrive, it needs annual, regular, easy to understand tournament play. The proposed “League of Nations” may well be the answer. Next articleJoe Marler Walks Away From Test Rugby.